You are here: Home / News / “Le choix des armes” 2017 : a successful first congress! “Le choix des armes” 2017 : a successful first congress! We had the pleasure to participate in the congress of the “Choix des armes” which has just taken place from 9 to 11 March 2017 in Marseilles. This first exit for Delmont Imaging was a real success, with highlights as during the live surgeries realized with our flagship products that are EasyCare and ReseCare. 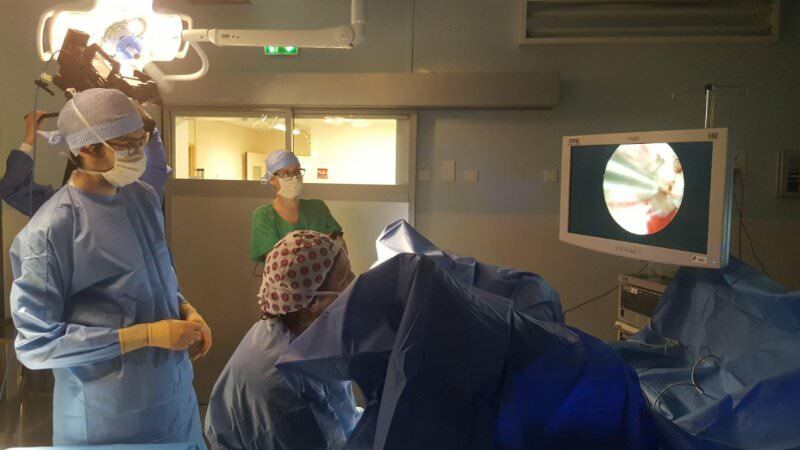 We would like to thank deeply the actors of these surgeries, Prof. H. Fernandez and Dr. P. Capmas. Many thanks also to Prof. A. Agostini, Prof. B. Blanc and their teams for the flawless organization and the good atmosphere during these days. http://www.delmont-imaging.com/wp-content/uploads/2017/03/ext.jpg 450 800 quai13 http://www.delmont-imaging.com/wp-content/uploads/2017/01/logo.png quai132017-03-15 11:41:222017-03-23 11:21:57"Le choix des armes" 2017 : a successful first congress!